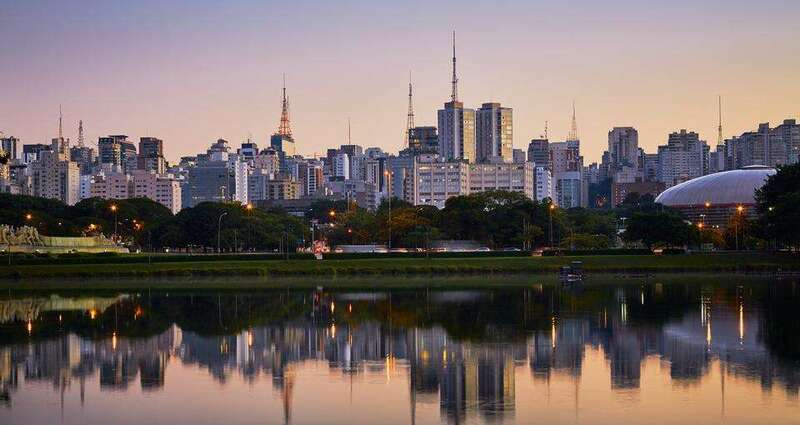 March 19 Update: Tickets for the 2019 Brazilian Grand Prix are now on sale. Prices are unchanged from last year. Support the ongoing development and improvement of our free Grand Prix travel guides by buying your F1 tickets from our partners, Gootickets. We receive a small commission when you buy using the links on this page. We don’t apply any markup, so you’ll always pay the cheapest price. There’s only a limited selection of grandstand tickets available to foreign buyers at the Brazilian Grand Prix, which makes choosing a ticket fairly easily. The choice for fans on a budget is even more limited, as there are no general admission tickets available and only two cheaper ticket categories, the best of which are the Grandstand A bleachers on the final corner for $270 (Friday-Sunday). Seats in the main pit straight grandstand will set you back over $500 USD for 3 days and the rest of the tickets are priced at close to $1000 USD, which is very expensive for the average fan. All tickets are for 3 days. Children under 5 cannot enter the circuit, whilst those aged between 5-12 must be accompanied by their parent/guardian. 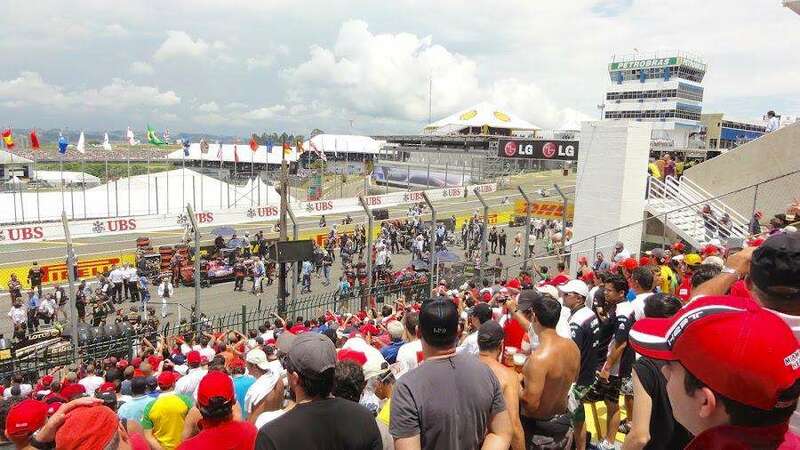 Even though many of the spectator areas at Interlagos are elevated, it’s still a challenge to see above the catch fencing at the circuit, which is higher than at other races. The cheapest bleacher-style seats on offer at Interlagos are in the Q sector on the back straight. Watch the cars exit Curva do Sol (turn 3) and pass you at high speed, often lining up an overtake into the first of the Descida do Lago turns. Good atmosphere here with the passionate local fans! Grandstand (or sector) A is the largest seating area at Interlagos. The bleacher style seats are well elevated and provide distant views of a large section of the infield area, as well as the final Subida dos Boxes (up to the pits) corner and pit entry. The best choice for fans on a budget. The covered Grandstand B is located at the start of the pit straight, right in the heart of the action opposite the beginning of the pits, podium and starting grid. Food and drinks are included in the price, but this doesn’t justify the ticket price being almost double the adjacent Grandstand M.
Located on the pit straight, but closer to turn 1, Grandstand M is good for the race start and pit stops. You can also expect to see plenty of overtaking into the Senna S. Recommended! Orange Tree Club: priced at $1500 USD (Friday-Sunday), the Orange Tree Club is on the inside of the track next to the corner of the same name (Curva do Laranjinha in Portugese). Features comfortable lounge seating plus full hot/cold sandwiches and drinks, including beer. Interlagos Club: priced at $2200 USD for 3 days, the Interlagos Club area is also on the inside of the track; at the bottom of the hill after turn 5. Full catering is on offer, including buffet service for breakfast and lunch, bar including wine and soft drinks, plus a daily pitlane tour. 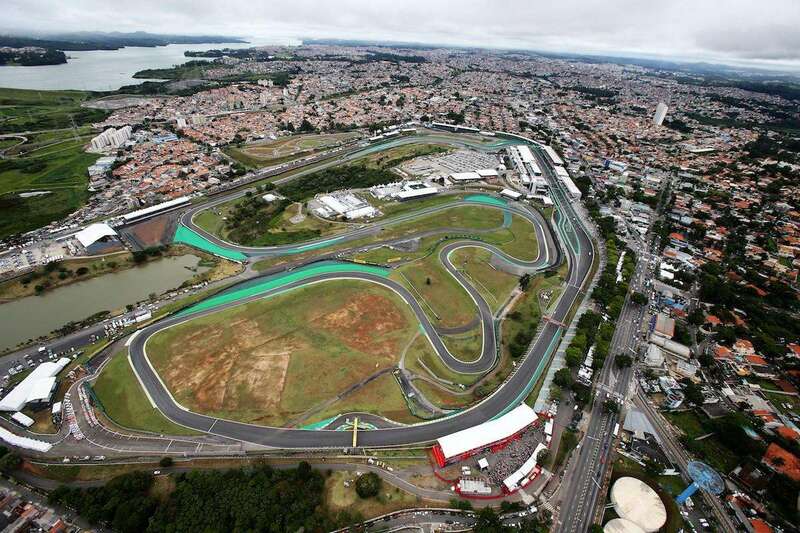 Click here to buy Brazilian Grand Prix tickets. 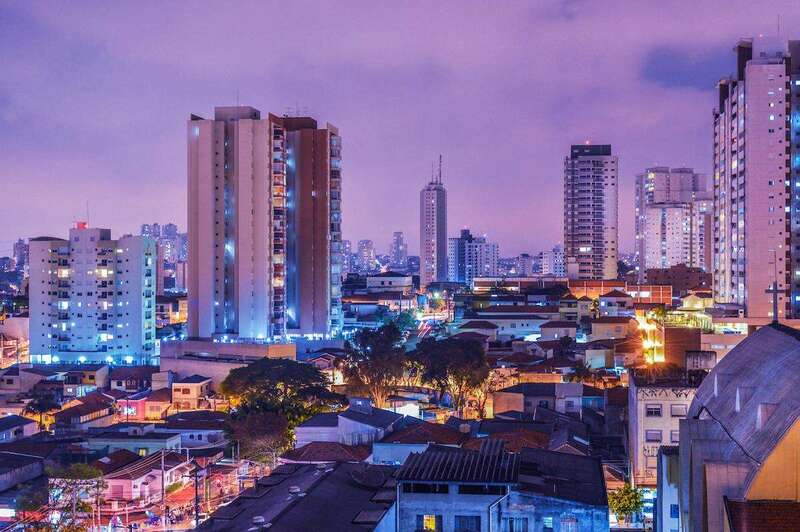 Have you been to Interlagos? Leave a comment and tell us your favorite grandstand. We’re planning to visit Interlagos for the race on November 11th 2018 and this website has been very usefuil to us although we’re still working our way through the options!